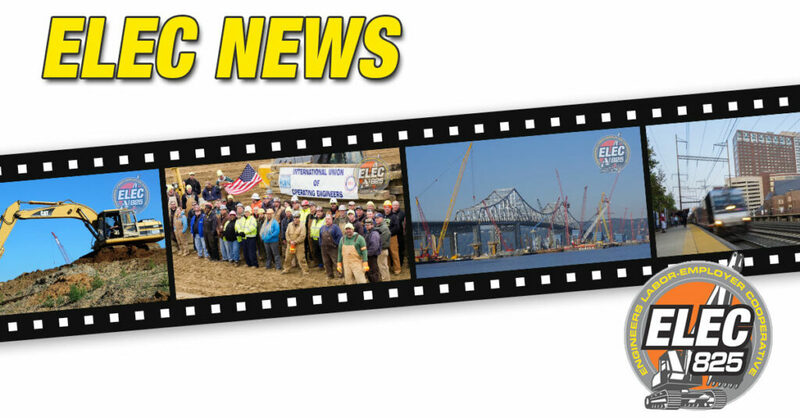 This week, ELEC launched a TV ad campaign to foster an appreciation for the monumental work and achievements of Local 825 and its members. Our campaign will begin with a 30-second TV spot that will air throughout NJ cable systems as well as those in our five counties of NY State. In our NY counties we will appear on Fox News Fox & Friends and the O’Reilly Factor; MSNBC’s Morning Joe; and News 12 Hudson Valley. The spots will appear at different times during the weeks leading up to Thanksgiving. We will not appear every day on every show but when you see it, let us know. Pride in ELEC and the members of Local 825! September 24, 2015 / Economic Development, ELEC, Energy, Infrastructure / Tags: "IUOE Local 825"